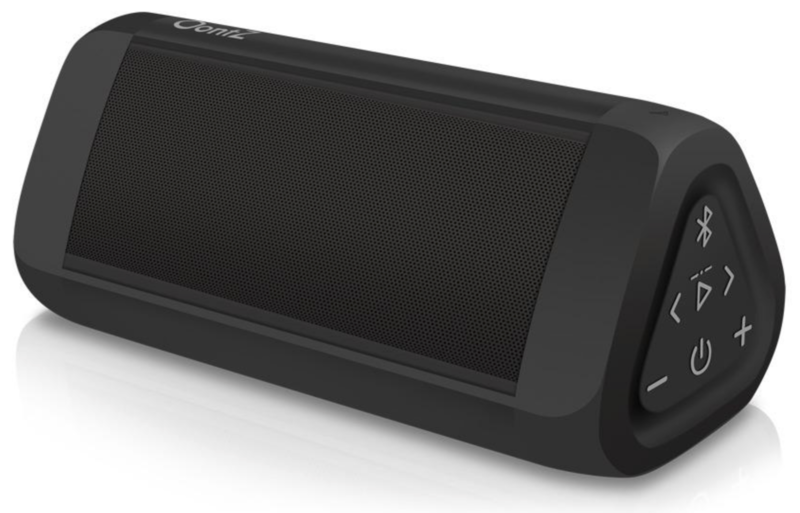 When considering a Bluetooth speaker, there are a few criteria you're probably looking for. Ideally, it should sound great, be easy to transport, and last long enough on a charge. Cambridge Soundworks' Oontz Angle 3 Ultra seems to hit all those marks with the added benefit of having a very silly name, and today, it's only $26.99 on Amazon. The Oontz measures just 6.5 inches, but it's rated for 20 hours of playback, and reviewers are very keen on its sound quality. It's also IPX6 certified, so it's safe to use outside — or, as its Amazon listing suggests, in the shower. And if you grab two, you can pair them for stereo listening. Amazon lists its regular price as $59.99, but it's actually been going for $39.99; still, less than 30 bucks is a solid price for a competent wireless speaker. 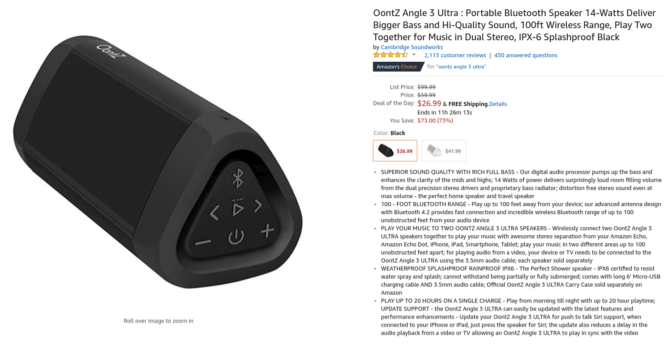 If you're looking for something with more oomph, the chunkier, more powerful Oontz Angle 3XL Ultra is also on sale, down from its historical price of $129.99 to $77.99 — a savings of $52. It's still portable, but at 11.5 inches, it's nearly twice the size of the 3 Ultra. Its battery isn't as robust, rated at just eight hours, and it's also not as water resistant, with a rating of IPX5. But hey, if it suits your needs, go for it. The prices for both speakers are good until midnight tonight, Pacific time.